The new updated diary will be up and running soon. Please don’t hesitate to contact us, we always answer. 10th Wednesday. Drawing Class. 6pm – 9pm. 11th Thursday. Afternoon Pottery Class. 1pm – 4pm. 11th Thursday. Day Drawing Course. 17th Wednesday. Mixed Media Afternoon Class. 1pm – 4pm. 17th Wednesday. Evening Mixed Media Class. 6pm – 9pm. 18th Thursday. Afternoon Mixed Media Class. 1pm – 4pm. 19th Friday. Afternoon Mixed Media Class. 1pm – 4pm. 19th Friday. Evening Mixed Media Class. 6pm – 9pm. 26th Friday. Life drawing Class. 6pm – 9pm. 31st Wednesday. Pottery Class. 10am – 4pm. 31st Wednesday. Afternoon Pottery Class. 1pm – 4pm. 31st Wednesday. Evening Drawing Class. 6pm – 9pm. 6th Thursday. Painting and Drawing Class. 1pm – 4pm. 7th Friday. Life Drawing Class. 10am – 1pm. 7th Friday. Mixed Media Class. 6pm – 9pm. 12th Wednesday. Life drawing Class. 6pm – 9pm. 12th Wednesday. Afternoon Mixed Media Class. 1pm – 4pm. 13th Thursday. Day Drawing Course. 10am – 4pm. 14th Friday. Evening Drawing Class. 6pm – 9pm. 14th Friday. Evening Mixed Media Class. 6pm – 9pm. 19th Wednesday. Afternoon Mixed Media Class. 1pm – 4pm. 19th Wednesday. Evening Mixed Media Class. 6pm – 9pm. 20th Thursday. Pottery day Course. 10am – 4pm. 20th Thursday. Afternoon Mixed Media Class. 1pm – 4pm. 21st Friday. Evening Mixed media Class. 6pm – 9pm. 26th Wednesday. Evening Drawing Class. 6pm – 9pm. 27th Thursday. Afternoon Pottery Class. 1pm – 4pm. 27th Thursday. Afternoon Mixed Media Class. 1pm – 4pm. 28th Friday. Life Drawing Class. 6pm – 9pm. 24th Friday. Drawing Class. 6pm – 9pm. 30th Thursday. Day Drawing Course. 10am – 4pm. 30th Thursday. Painting and Drawing Class. 1pm – 4pm. 31st Friday. Mixed Media Class. 6pm – 9pm. Pottery day course 10th Feb 2017. Mixed Media Class 16th Feb 2017. Life Drawing day class 21st Feb 2017. Pottery Class. 21 and 22 Jan 2017. Mixed Media Class. 27 Jan 2017. Drawing Class. 20 Jan 2017. Venue: The Studio. Ledley House. Ebrington. Learn basic methods to make simple bowls and vases, and how to throw and produce interesting forms. 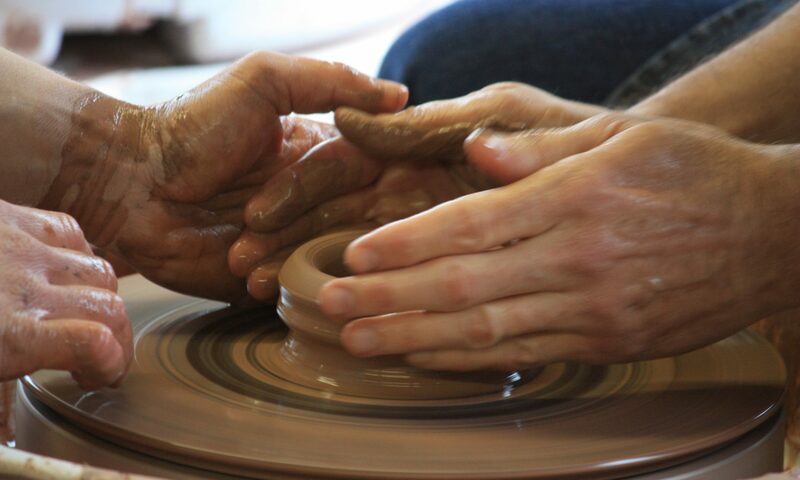 Explore the exciting possibilities of pottery, using the main pottery techniques of hand building and throwing. Decoration, glazing and firing are also taught. Description: Possibly the most versatile medium of all, many people choose to get to grips with Charcoals and oil painting at The Cotswold Art Academy. For the beginners or the more advanced student, these courses start you off with the basics but with our innovative teaching techniques you will learn this by producing a fine drawing and or painting. we will cover, Simple drawing techniques and composition. The use of the palette knife. Brush techniques. Colour Selection, mixing ingredient notes. Textures. Description: For the beginners, these courses start you off with the basics but with our innovative teaching techniques you will learn this by producing a fine drawing and or painting. we will cover, Simple drawing techniques and composition. The use of the palette knife. Brush techniques. Colour Selection, mixing ingredient notes. Textures.